It’s Mother’s day today in the U.S.A and down here in Australia-actually it will be almost over when you all arise in the U.S.A. to treat your Mothers to breakfast in bed and all those other good things that you have been planning! 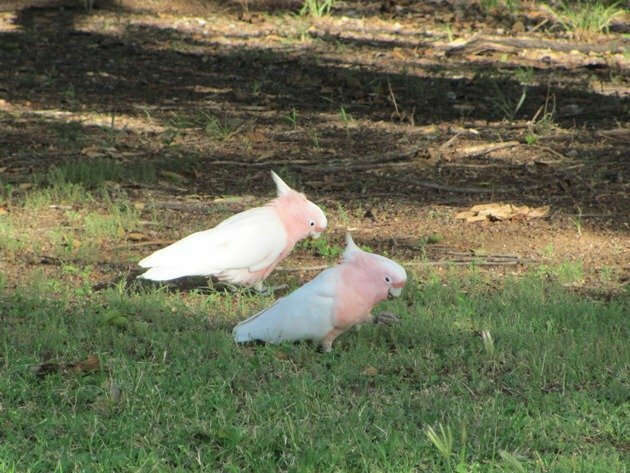 It gives us all an excuse to think “pink” and what better bird than Australia’s most beautiful Cockatoo! 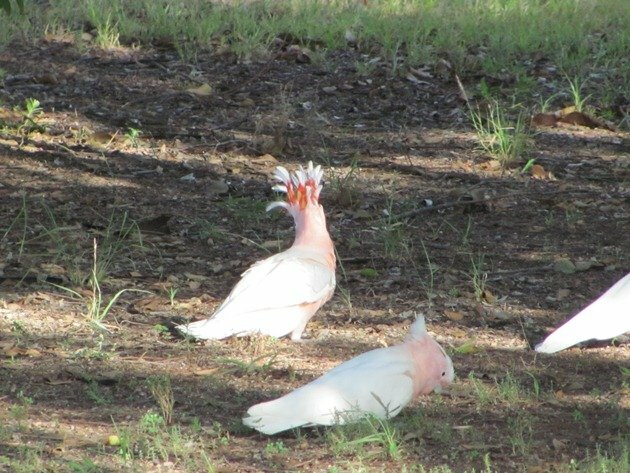 On our trip to Southern and Western Queensland earlier this year we had hoped to find Major Mitchell’s Cockatoos Lophocroa leadbeateri when we headed west to search out new birding environments and better weather for camping. 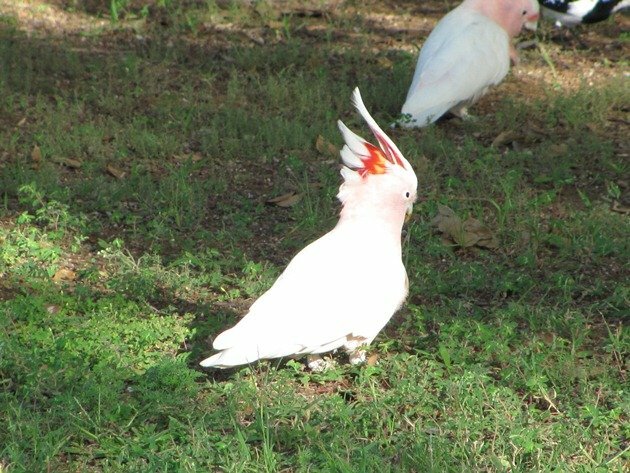 We had not seen any since 1999 when we drove south from Darwin through the arid areas of Australia to Alice Springs for another of our many birding and camping holidays. 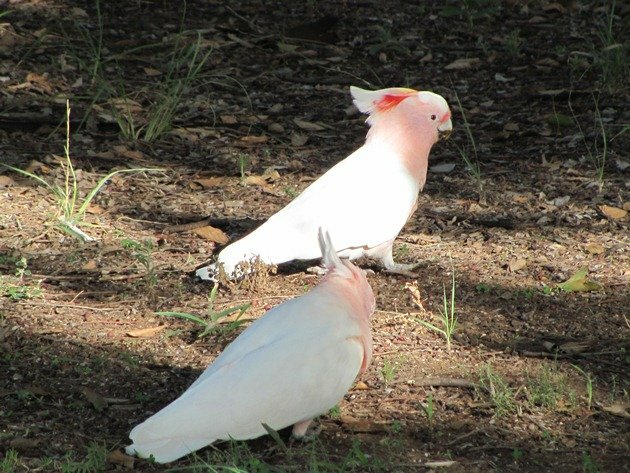 Major Mitchell’s Cockatoos are the most beautiful of the cockatoos with their pale pink and white plumage and they also have a beautiful crest with scarlet and yellow in bands. They were named after an explorer Sir Thomas Livingstone Mitchell who came to Australia from Scotland and was appointed as Surveyor General of New South Wales in 1828. We travelled west as far as Thargomindah and had our first encounter with the species on our return east on a dirt runway at Eulo in the early hours. 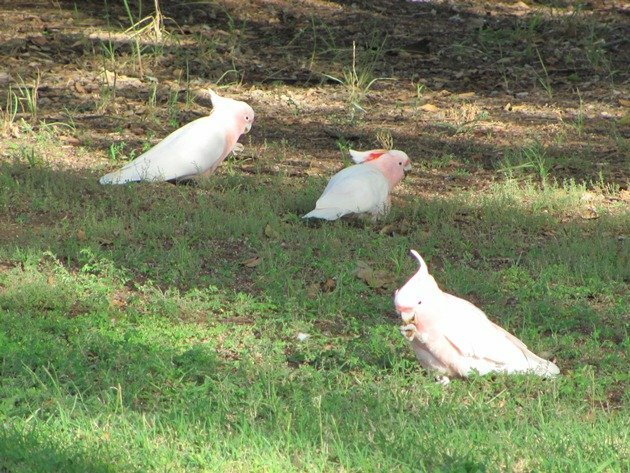 There were five birds, but they were too distant to get a photograph and we were hopeful we may encounter more. We had another brief show at a bore shortly after as they came in to drink and head off again for the day and we hoped for more in the next few days before we left the arid area. Eulo has a good variety of bird species and Blue Bonnets came in to the camping area on dusk. 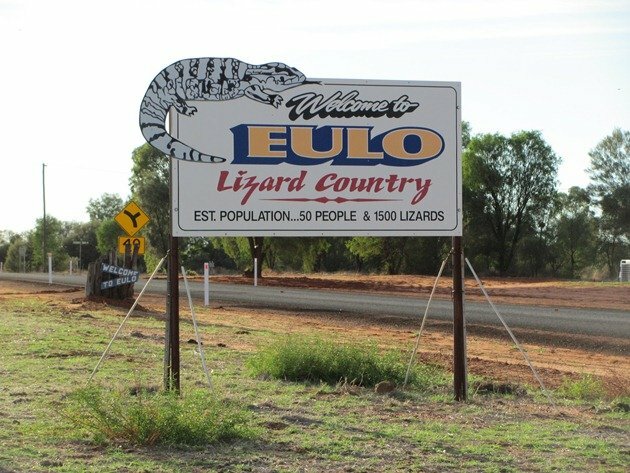 Eulo is also lizard country and they are proud of it! 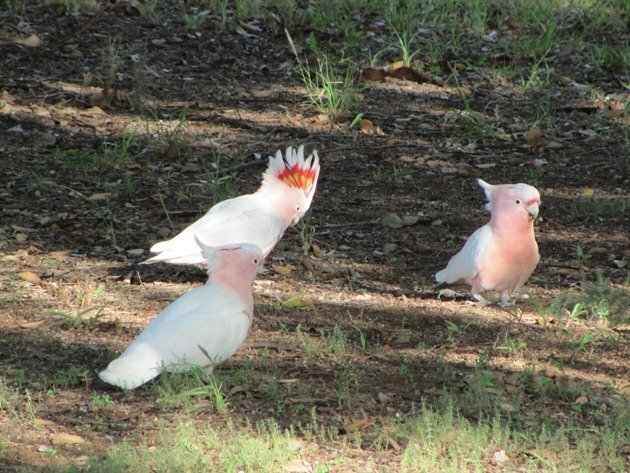 We continued east back towards Brisbane and camped at St George and were delighted the next morning to observe a small flock of Major Mitchell’s Cockatoo in the caravan park! 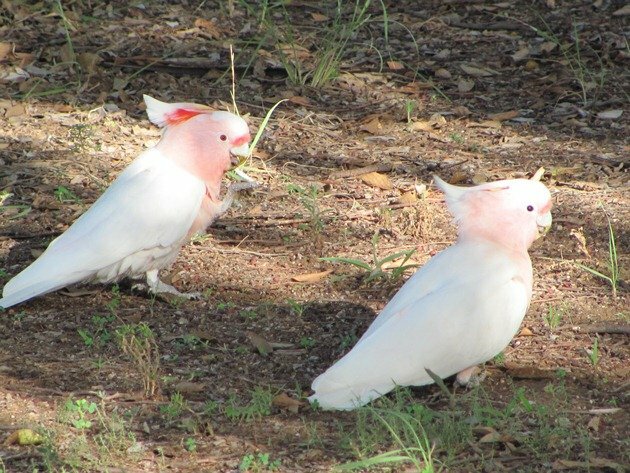 They were feeding on the ground and they used their claws to pick up seeds and occasionally showed their crests. The skilful use of their claws is quite remarkable and interesting to observe. They were quite close to a road which did not appear to concern them and no doubt they are regular visitors whist the feeding conditions are ideal. These birds are also caged around the world and it would appear that the oldest of these birds resides at the Brookfield Zoo near Chicago. It is the only animal from the original collection and they will be celebrating its 80th birthday this year. That is so far removed from Outback Australia and if you get a chance to see them in the wild then you should jump at the chance. What extraordinary birds! Would love to see them on their home turf one day… or even at the Brookfield Zoo; that’s incredible it is 80 years old. @ Carlos-sadly Bowra Station was closed when we visited….next time! !